When I tell people that I design gardens for a living, their response is usually something along the lines of “must be lovely when the sun’s shining” or, more recently, “wouldn’t like to be working outside in this weather”. Contrary to popular belief, we garden designers don’t spend as much time outside as people expect. The weather can pose a challenge with the build phase of projects, especially over the last year with all the rain we’ve had, but it doesn’t stop me from designing. 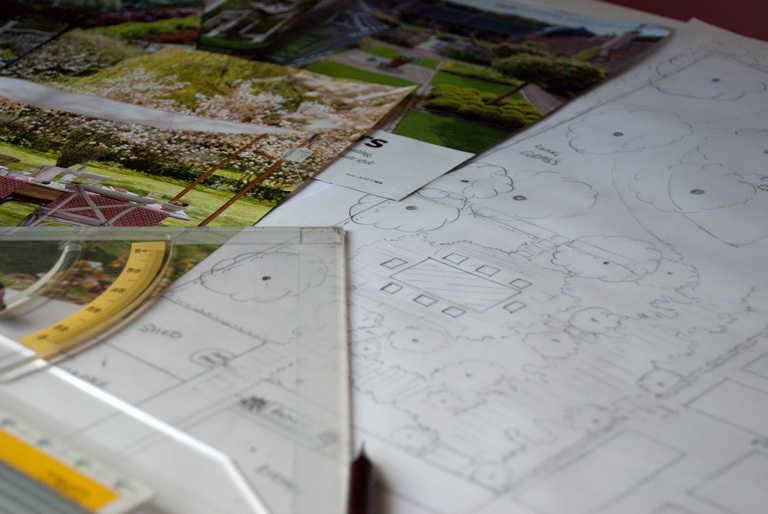 So what are a garden designer’s tools? In my case, they very rarely involve a spade, fork or trowel, although I do get my hands dirty during the planting phase of my projects. 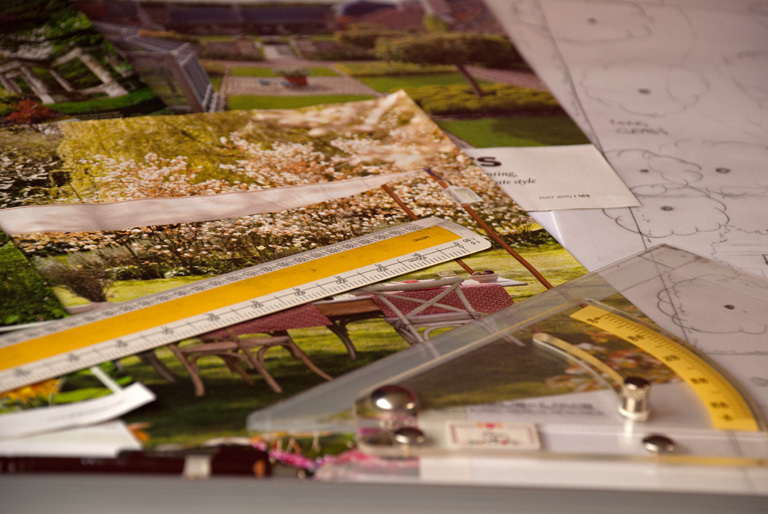 At the moment I hand draw my designs so my tools include a pencil, eraser, tracing paper, graph paper, scale rule, ruler, compass, set square, technical pens and a drawing board. I’m currently considering moving across to a CAD (Computer Aided Design) system, but I know that I will always need a pencil and paper to get things started and of course to put together the concept sketches for my clients. So you see, the use of these tools aren’t really impacted by the weather unless I am surveying and need to draw on site. But I won’t be complaining if we get lovely warm dry weather for at least some of the coming months…wouldn’t it be nice if we could sit out and enjoy our gardens this year!